A would-be chap needs a pair of brown brogues and a pair of black oxfords. Clarks is an obvious shoe shop to visit but there are other options. Please don’t buy shoes from a supermarket or Primark - they may survive a couple of wears but they will soon fall apart. Anything called ‘fashion shoe’ should definitely be avoided, by and large. 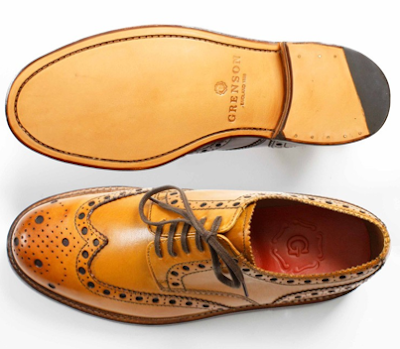 Look online for ‘goodyear welted’ shoes, which means you can take them to a cobbler to be reheeled or resoled. Goodyear welted shoes can be found for as little as £40. If you have adequate funds, it is most definitely worth investing in a pair of shoes made in the shoe making capital of the world - Northampton. Loake, Barker and Grenson through to the more expensive Church’s. Unless you’re wearing a roll-neck sweater, please cover your neck up with either a tie, bow tie or cravat. Neck ties can be purchased from charity shops for as little as 50p. I’ve also bought bow ties from beneficiary boutiques but I’ve never been lucky enough to hunt down a cravat. Cravats are readily available on eBay from around £10. Both silk and cotton work well. 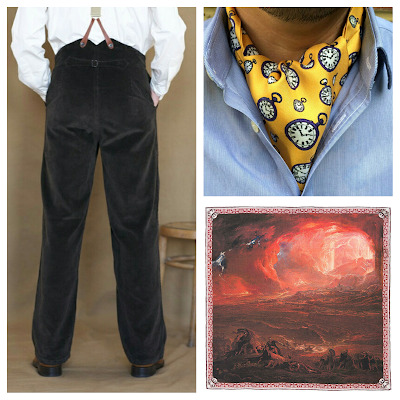 If you can splurge out on a quality silk number, make Cravat Club your go-to destination. Nothing screams ‘Vintage!’ like a Fair Isle-style sleeveless pullover. eBay is a jolly good hunting ground but M&S and Debenhams have also been known to offer super styles. If you have the cash to splash, try Thomas Farthing. A tweed jacket is your first official step on the chap journey. Vintage shops or fairs are usually good places to begin your search. eBay too, of course. 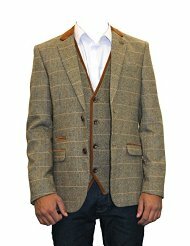 Marc Darcy offer a number of affordable tweed style jackets with some lovely details including colourful linings. The downside is they are made of the dreaded polyester. Brook Taverner are also worth a search on eBay. 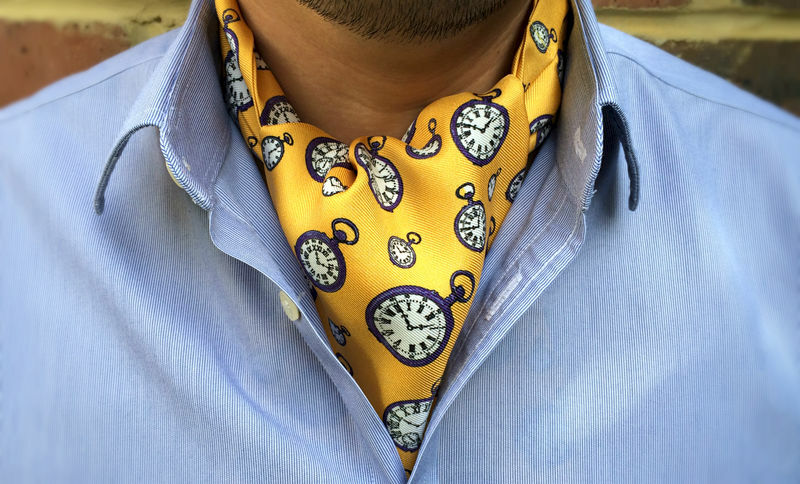 Thanks to television shows like Mad Men, pocket squares are enjoying a resurgence in popularity. A simple white linen square is classically elegant but there are lots of other options to showcase a little flair and personality. If British punk is your thing, look no further than Age of Reason. 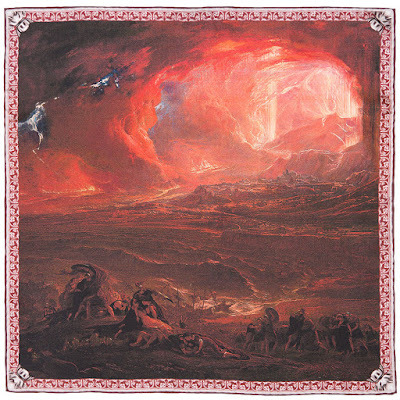 Like fine art? Rampley & Co. Or try making your own using an old shirt. I love cotton squares as much as silk offerings. 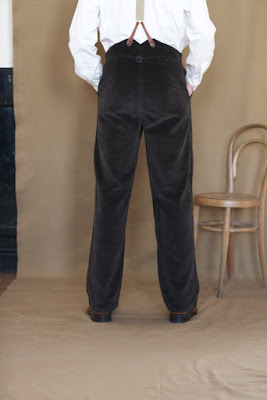 Wearing trousers around your natural waist, rather than at your hips is very authentic indeed. It feels rather nice too, I must confess. I find them much more comfortable compared to the more modern style of trew. Search for ‘British Army dress trousers’ on eBay if you are watching the pennies. Otherwise, save up and get yourself a pair from Darcy Clothing or Old Town. Moleskin and corduroy are two of my favourite trouser fabrics. It took me a rather long to purchase my first waistcoat but once I took the plunge, I couldn’t help buying more and more. The Waistcoat Lady can make you one up - just supply the fabric and £30. Lapel badges, tie bars and a sturdy pocket watch are all worthy additions to a chap’s wardrobe. Once you get the basics like those listed above, you’ll soon be adding lovely accessories to your growing chap arsenal. I do hope this has been useful. You have absolutely SAVED me!! I have been trying to come up with dress code suggestions for my upcoming wedding, as we have asked guests to wear their vintage finery, and some guests probably have no idea what that means! I'm able to explain easily to the ladies but have been struggling with the gents a bit, so this article comes at the right time! You are most welcome, dear Porcelina! I've noticed this question coming up more and more recently so decided it was time to address it. If you'd like any help putting together some words for your wedding then I'd be delighted to assist. Many thanks for your comment on my chivalry piece in the magazine too. I enjoyed penning that one.